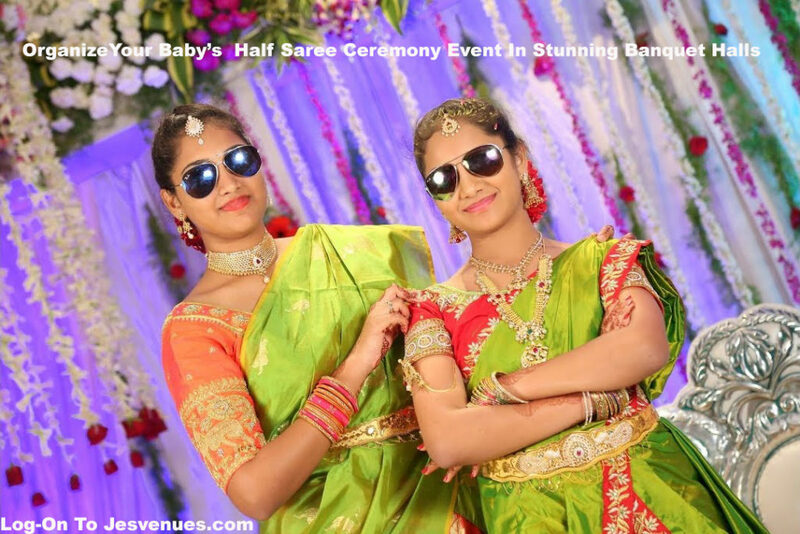 Looking for banquet halls in Hyderabad and not finding a suitable venue to celebrate your baby’s half saree ceremony. 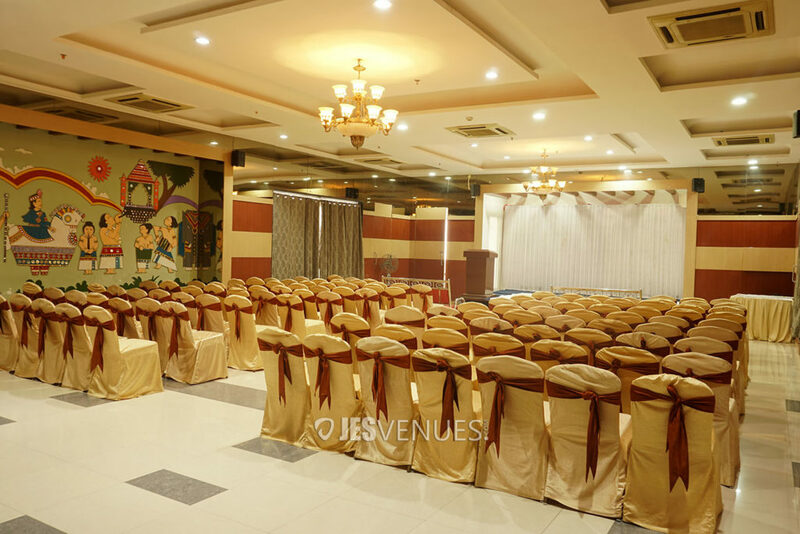 Jesvenues is providing the list of beautiful and stunning banquet halls with affordable prices and which fits exactly to your event. 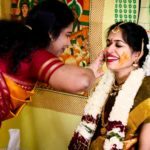 Celebrating a half saree ceremony is a one of the favourite function in a girls life. 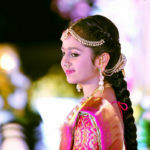 usually, this half saree ceremony is done by the girl’s maternal uncle (mom’s bro) and/or the maternal grandparents.This event will be celebrated when the girl is 11 yrs or 13 yrs before puberty. We buy new clothes a new pair of Langa n blouse the normal one to wear before the ceremony (this can be bought by the girl’s parents also). A pattu Langa and voni to be bought by the maternal grandparents/mama. A saree again by the grandparents/maternal uncle. some gold is also given by the grandparents both sides depending on their financial status. First, the girl is made to sit with the new Langa and blouse. Then maternal uncle and his wife give the pattu Langa voni and blouse. After then the girl changes the dress into Langa voni and some puja is done.we give the girl fruits, sweets, flowers. Then the girl usually sits with the atta(dad’s sister if any or someone who is atta from paternal side) for blessings of elders. And gifts are distributed and all program is done now. 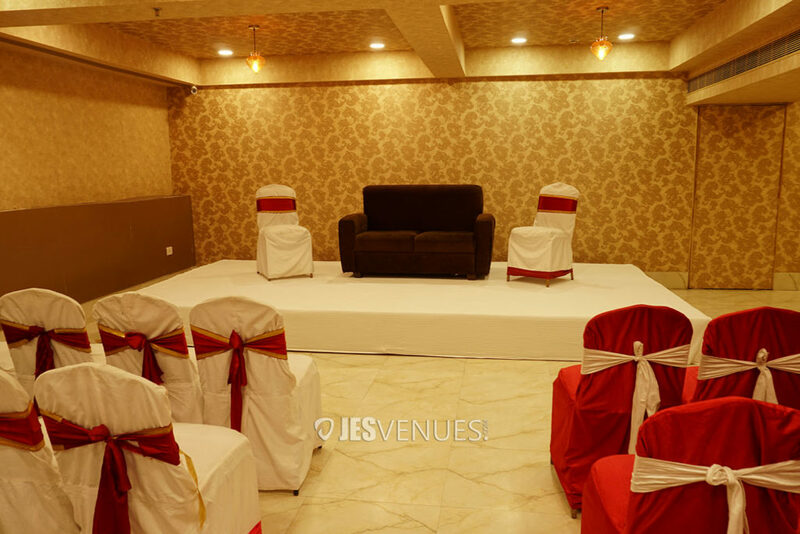 The venue offers a warm and welcoming feel to all the guests. The walls are beautifully designed with Traditional paintings, which is the centre of attraction The beautiful and elegant. 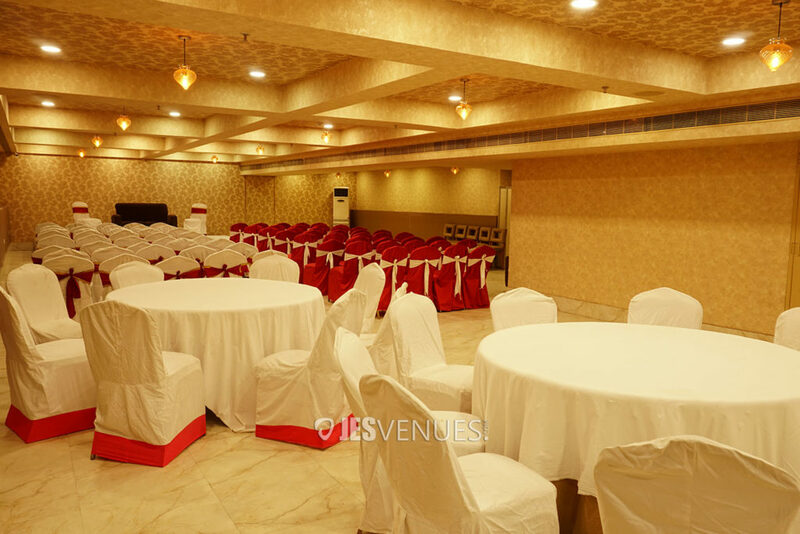 Empire Banquet Hall can accommodate around 250-300 guests and it is a perfect place for hosting any wedding ceremonies, birthday parties or Corporate events.Your guests will get to enjoy a wide variety of mouthwatering North Indian, Continental, Mughlai and Chinese delicacies, created in both vegetarian and non-vegetarian preparations. The service offered at Empire banquet hall is prompt, professional and polite at all times. Your guests will be treated with respect and care at all times. Location Highlights 0.1Km from Kamineni Hospital Bus Stop 7.9 Km from Survey of India Metro Station 30km from Rajiv Gandhi International airport. 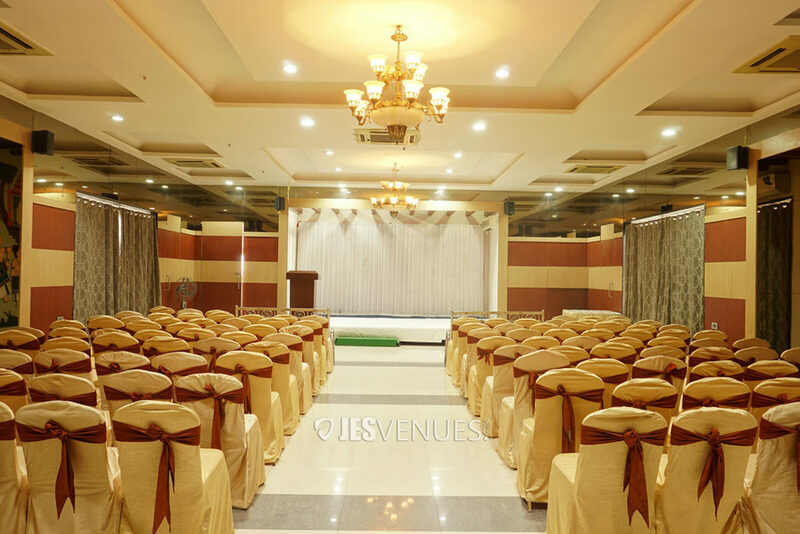 Bronze Banquet hall is located in Secunderabad, Hyderabad is only a 10min walk of Secunderabad Clock Tower and St.Marys church.As the pristine structure catches ones attention, the intricate detailing to every nook and corner delights guests. 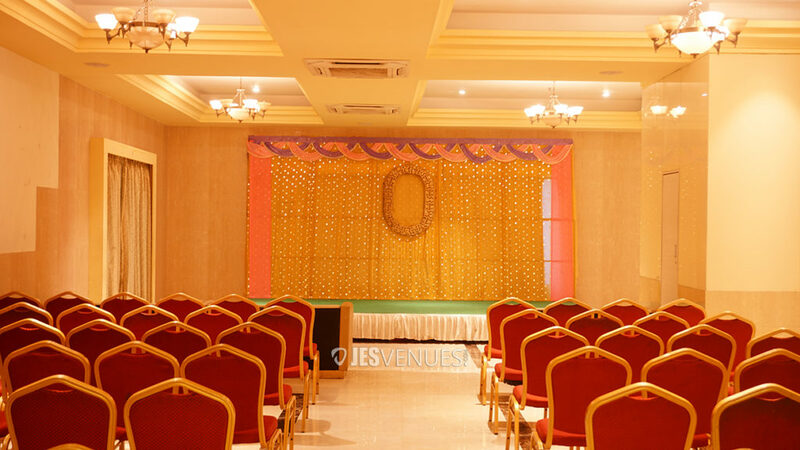 The venue incites a prosperous and charming feel that is meant for any and every occasion. Up to 300 people can be accommodated in the hall. 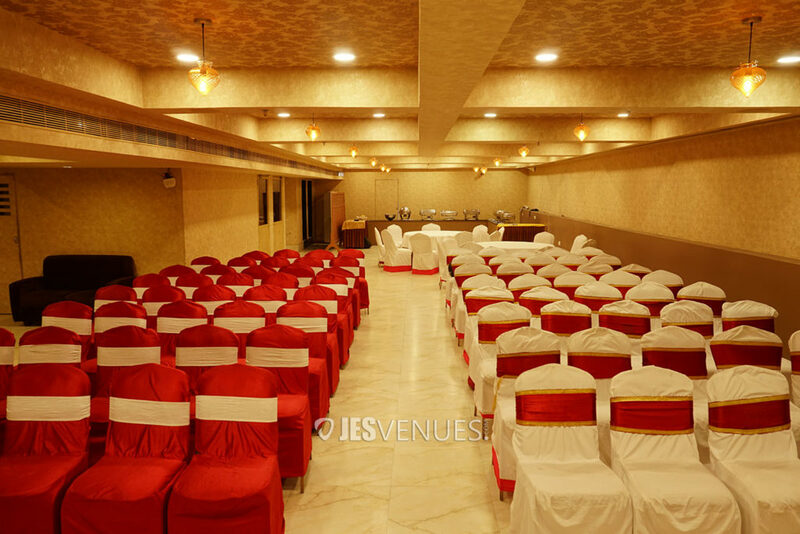 This alluring venue has everything to make a function lovable with its properly organized interior and facilities. Attractively carved ceiling design and curtains all over the wall pleasingly adds the touch to your wedding-related events. 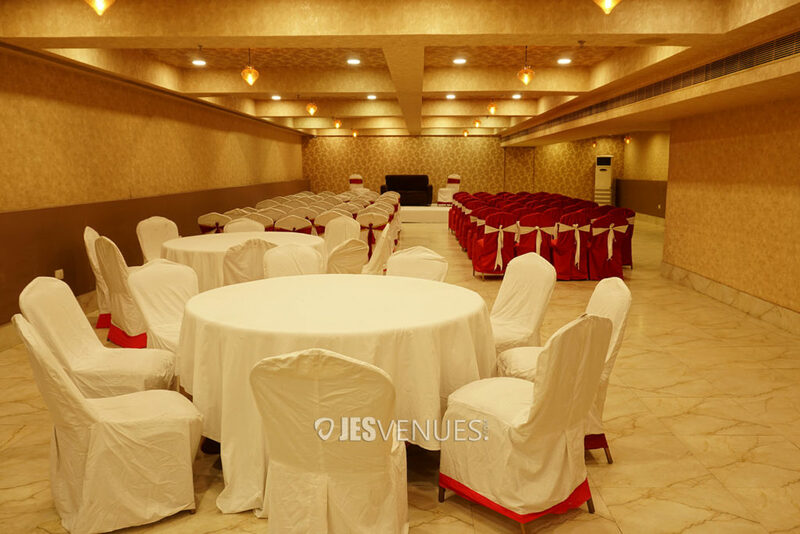 The venue is an ideal place to host anniversary, birthday party, cocktail party, engagement, get together, conference and training party. 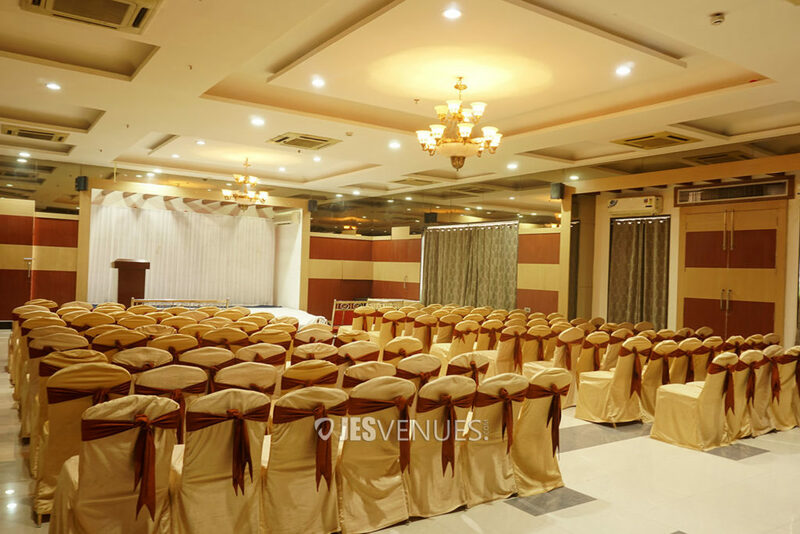 Grand Banquet Hall is strategically located in Nampally, Hyderabad which is about 2km from MGBS Terminal and 3km from City centre. 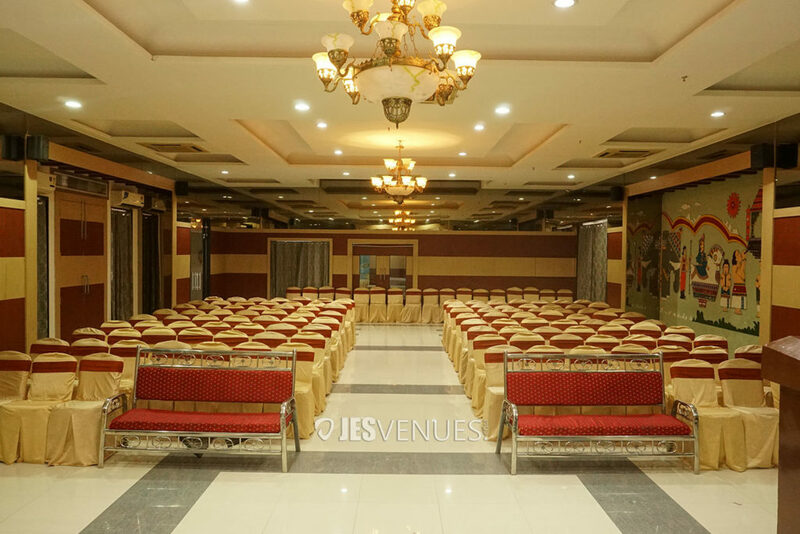 As soon as you enter the banquet hall vicinity, you will already start loving it by the alluringly exteriors &amp; interiors of the place. You will be impressed by the environment. The entrance itself is quite impressive. 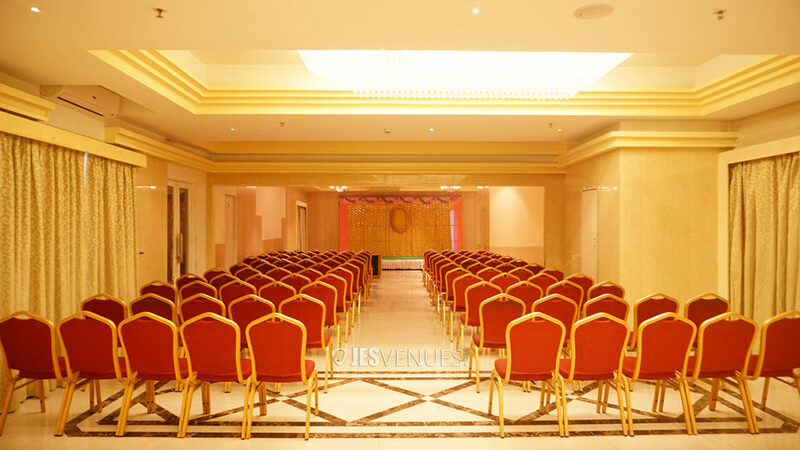 The Gold tones of the banquet hall create a perfect vibe for the event. 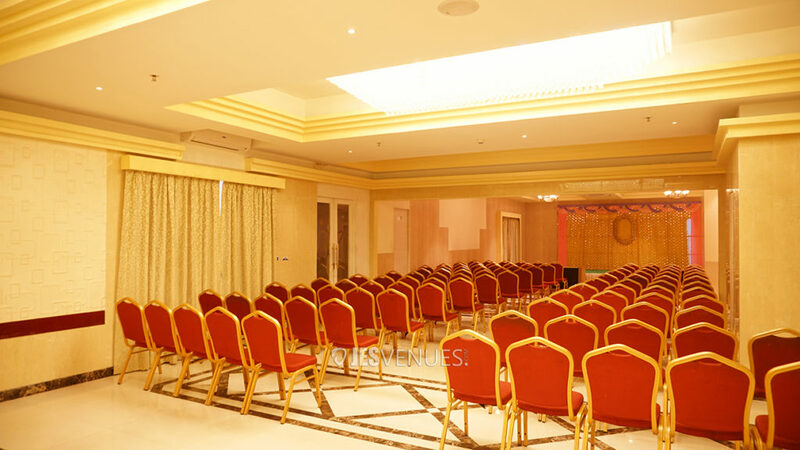 A luxurious and authentic ambience of the Grand Banquet Hall is best suitable for all social private occasions and corporate events. Your guests will get to enjoy a wide variety of mouthwatering North Indian, Continental, Mughlai and Chinese delicacies, created in both vegetarian and non-vegetarian preparations. This place offers everything to impress your guests and hold a memorable event with amazing services and cuisine. 650m from Nampally railway station. 1km from Chirag Ali Lane. 30km from Rajiv Gandhi International Airport. 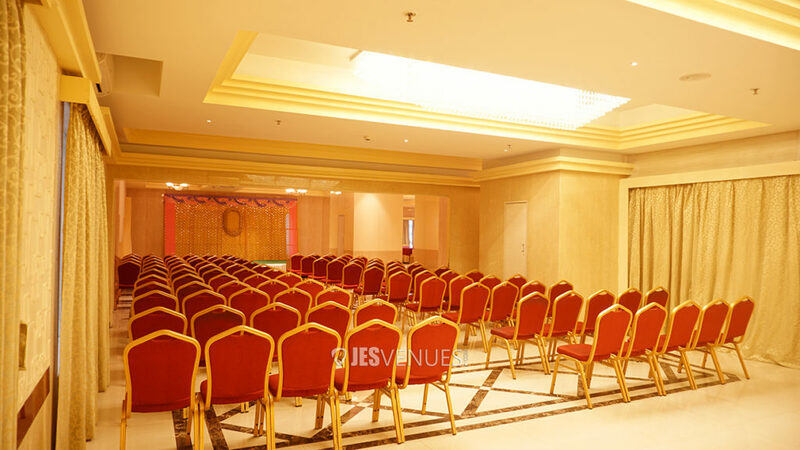 For More Banquet Halls Click this link. 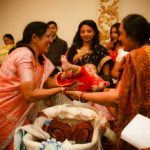 Celebrate Your Baby-shower Event in Hyderabad.